I caught the start of one of those property ogling TV programmes yesterday. A pair of high-flying lawyers wanted to move out of their flat overlooking St. Paul’s to live a life of bucolic bliss in the New Forest. While the female of the couple wanted a huge kitchen and reception rooms to entertain friends in (i.e. show off their house), the male partner wistfully imagined a life where he’d grow a few vegetables in the garden, stroll down to the village shop on a Saturday morning for a paper and occasionally visit the village pub for a Sunday lunch. It was all perfectly achievable for their property budget of £1.5m. It’s ironic that the local businesses that they imagine happily serving them with their Telegraph and roast beef probably need a lot more custom than the occasional weekend visit to continue their effect on buttressing property prices. Properties in villages with shops and pubs will have a significantly higher value than those in dead, commuter dormitories — but the people who can afford those prices often work during the week elsewhere. Nevertheless, this is another demonstration of the way the local pub is so ingrained into the country’s collective consciousness. Even people who barely venture inside a pub (and the busiest pubs are the likes of cavernous Wetherspoons these days) cherish the idea of the welcoming, thatched local on the village green with its lovable eccentrics at the bar. In fact, as David Cameron recently proved, the idyll of the English pub and its pint of foaming brown ale extends well beyond these shores. It’s often reported that foreign tourists put the experience of visiting a pub near the top of their to-do lists when visiting this country. And one of the most high profile overseas visitors of them all got his wish last month visiting a pub just up the road from me. As was widely reported, Chinese President Xi was taken on a brief visit by our Prime Minister to the Plough in Cadsden. The Plough gained some notoriety a few years ago as the pub where David Cameron left his daughter behind in the toilets after a lunchtime visit from his nearby country house retreat, Chequers. This autumn the Plough can justifiably lay claim to the title of most famous pub in the world given the brief visit’s huge coverage in the Chinese media — and also in many other countries. It seems the Chinese leader had been determined to sample what must be known in China as two of Britain’s great traditions — fish and chips and a drink in a pub. Of course the traditional way of eating fish and chips is out of newspaper with the grease soaking into your palms so perhaps it was diplomatic to combine the two in the pub visit. However, it’s certainly not a British tradition to eat a tiny portion out of a wire basket at the bar. Nevertheless, the starter-sized portion of President Xi’s fish and chips has now gone on the menu permanently in the Plough. In the weeks after his visit, coach parties of Chinese visitors pitched up at the pub to sample this rather non-traditional method of serving the national speciality. 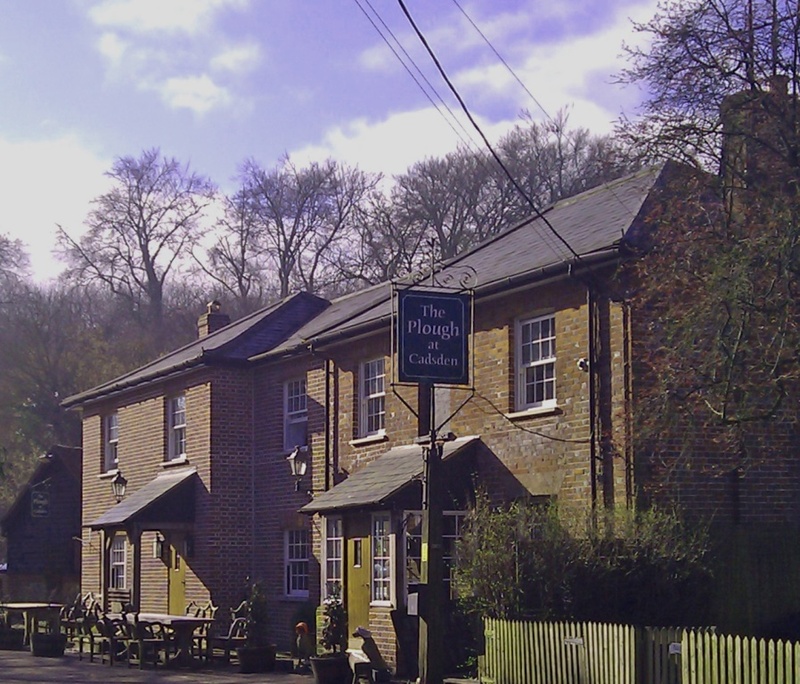 Like many other pubs in the Chilterns, the Plough has featured as a picture-postcard hostelry in many different television programmes, notably Midsomer Murders. 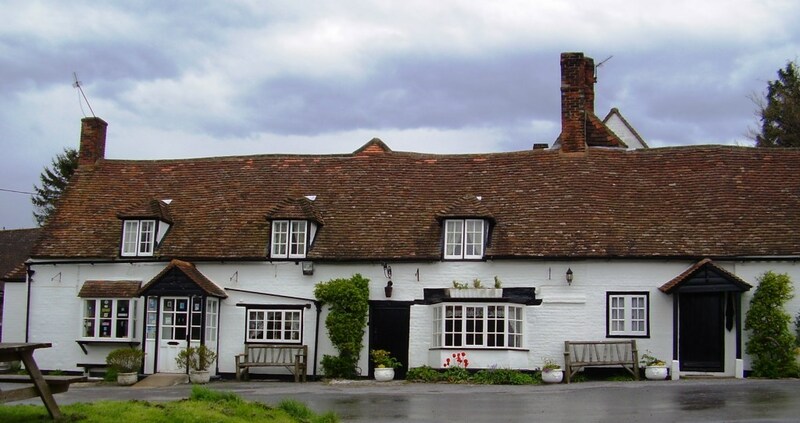 In fact, what’s probably Inspector Barnaby’s most frequently visited pub, The Lions of Bledlow, is only a few mies down the road, also nestling against the foothills of the Chilterns. Midsomer Murders is an exceptionally popular programme internationally, particularly in Scandinavia, and is another example of how the rest of the world is fascinated by the British pub. 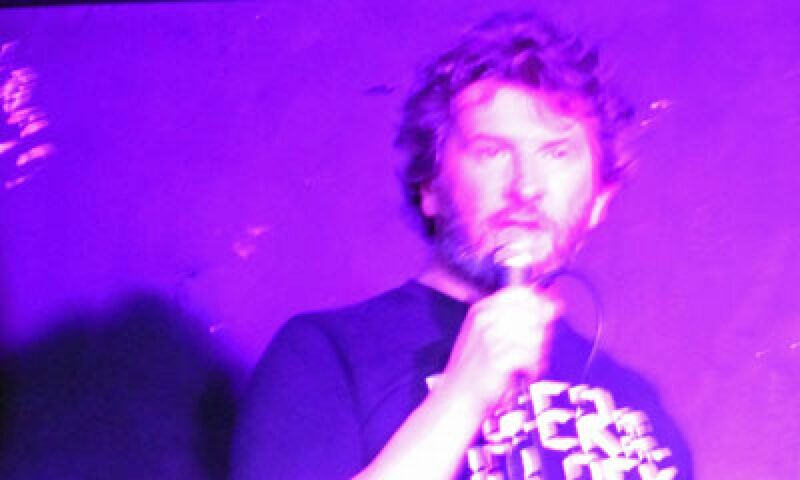 And it’s not surprising why anyone with even a passing interest in the culture of this country should be interested in experiencing life in the pub. Other countries have their wonderful cafes, restaurants, bars and other meeting places but with the possible exception of Ireland, where pubs still seem to provide a subtly different function, it’s difficult to think of an institution quite as casually inclusive, socially democratic and (usually) community focused as the pub. It’s not even a pre-requisite to drink alcohol — I’ve gone into Wetherspoons during the day and had a cup of coffee and, at the other end of the scale, the likes of Tom Kerridge (whose pubs in Marlow are not that far away from The Plough and Lions of Bledlow above) have made pub food a Michelin starred but (by most accounts) without throwing out the pub experience completely. It’s little wonder that the pub is a central feature in many dramas — the Bull in Ambridge, the Rover’s Return, the Queen Vic are central to their respective soaps — but there’s many other examples of pubs of all varieties in sit-coms and other dramas in — the Nag’s Head in Only Fools and Horses and the period seventies The Railway Arms in Life on Mars come to mind — both as far away from the bucolic Lions of Bledlow as it’s possible to imagine. There’s an equally long tradition of pubs in literature — stretching back to Chaucer’s Canterbury Tales — although many pubs are better known for authors’ real-life drinking than their fictional representations. Possibly the most famous modern fictional pub is the Moon Under Water — George Orwell’s description in an article for the Evening Standard of the elusive ideal pub. In novel writing terms, a pub offers countless opportunities for characters to meet, information to be passed on and conflict to arise. It can also introduce the community in which the protagonists exist — and also make a large contribution to establishing the culture and ethos of that fictional world. 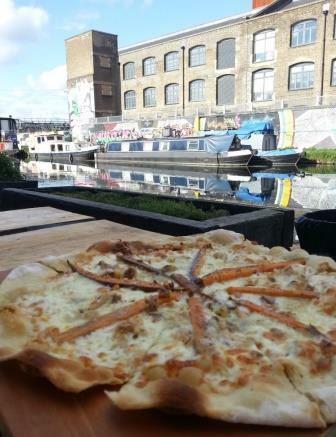 And anyone who’s spent some time around the pubs of London and other large British cities — or has opened a weekend newspaper food and drink or travel supplement — can’t fail to have noticed the new-found fashionability of ‘craft beer’ and the trendy pubs that serve (and often brew) it. 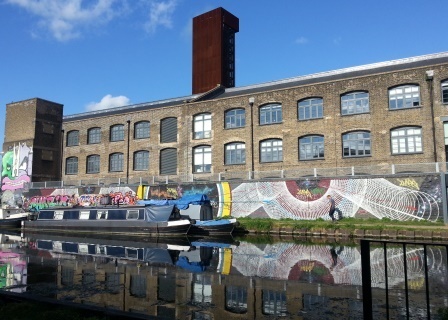 The craft beer phenomenon has been building for a few years but craft or artisanal beer has become so popular that Time Out devoted most of a recent issue to London’s breweries — which are often located in hipster hotspots like Hackney Wick, Cambridge Heath or Bethnal Green (see photos of the Crate Brewery on the canal in Hackney Wick). With the likes of Brewdog opening bars across London and elsewhere (I visited the new one in Soho last week), pubs are no longer best known for their links to tradition and the past but for being as much part of the cultural Zeitgeist as street art and thickets of facial hair. And as plenty of the new breweries and pubs are producing excellent beer then this popularity is likely to continue. However, I can’t say my ‘unfiltered’ pint from the Crate Brewery pictured below is one of the best examples I’ve drunk recently. 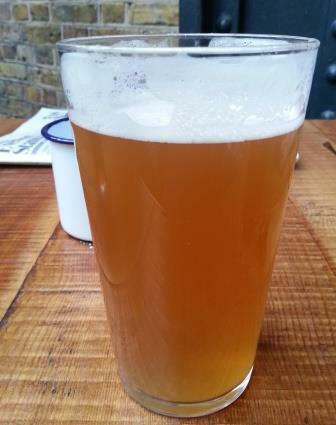 I Don’t Fancy Yours Much: a Pint of Crate Brewery’s Unfiltered Craft Beer. When I started writing The Angel it may have seemed odd that Kim, an uber-hip street artist (and uber is a word that’s recently taken on a new meaning) would be an expert in beer, working in a pub and having an intimate knowledge of how beer is brewed. Now it’s clear Kim’ was ahead of the trend, being into beer and brewing before the typical Shoreditch hipster — not that she’d care about being the height of uber-cool.